Some things I’ve read and listened to in the last few months that have resonated with me. How to support the artists + writers you love via Ashlee Gadd. 1. If they write something lovely that resonates with you, leave a comment. When you leave a comment on a blog post or essay or article, that is your way of saying, “I’m here! I read this!” Comments (well, nice ones) make the writer feel warm and fuzzy on the inside. You don’t need to leave a comment on every post—just once in a while when something really resonates with you. So I lay on the rocks and feel the coolness of the earth supporting me. The La Sals are covered in clouds off in the distance and wonder if I will ever again climb their peaks. I run my fingers along the sleeping branches of a cottonwood, knowing that no matter what happens to me, that this canyon will wake up in a few months, that the leaves will expand, that the caterpillars will hatch from eggs and munch away. And it is comforting to know this place will be here no matter what. We need to talk about postpartum rage—and why it happens. via Motherly. Rating Tomatoes: Which Ones are Best to Eat via Growing with Plants. Believe me, gardeners can get seriously geeky about tomatoes. First off, don’t assume that all heirloom tomatoes are good to eat, also don’t assume that the nursery will grow only the best varieties. You will need to do some research, read all of the catalogs and some of the best books on tomatoes out there (I share some of those later in this post), and then make your own decisions based on what you will be using you tomatoes for. You might want sweeter varieties or some that are more acidic for caning. Meaty or savory varieties might be preferred over slicers, or you might be planning on making sauce and not eating them all raw with sea salt. If you are like me, you night be able to find a reason to grow every one. Nature in Broward: The Silent Crisis of Local Rare Species Extinction via the Florida Native Plant Society. Keeping Wild Spaces Wild: The Ethics of Social Media via Trail Groove magazine, written by Paul Magnanti. As outdoor people in this age of social media, it is not enough to not litter, camp 200′ away from streams, and limit our physical group numbers. We have the responsibility to preserve the wild places to the extent we can. Bears Ears in Crisis via Bedrock and Paradox. The Antiquities Act has always had problems, and the way in which Trump and his administration are bringing it to a head is no different than all the other ways in which he is highlighting contradictions long dormant in our society and government. Our best and only hope is that Trump himself will pass on to the shadows sooner, and leave in his wake newfound motivation to confront and manage that which we have avoided for so long. The Seriously Cool Red Cedar via The Common Milkweed. Red Cedars sometimes get a bad rap because they “invade prairies and pasture lands,” but it’s really all about management and the land’s current hydrology, browse factor, etc. Keep them out of the prairies so the prairies can be prairies and pasture can be pasture, but let them grow in old fields and fencerows and yards and recovering forest. Eastern North America had a magnificent, spectacular forest once that we can only dream of and yes, we feel overwhelming grief for what was carelessly destroyed, but we don’t dwell in that part of our knowledge because we can’t. Instead we plant and plant and plant. Maggie Haberman on the Katie Couric Podcast: Haberman is a writer for the NYT and has covered 45 extensively in the last 10 years and has a lot of great insight to his mind and inner workings. The Nuanced Life Podcast: I love everything about this podcast. Practical, Positive, and Peaceable by Charles Eisenstein via the Root Simple Podcast. Originally aired prior to the 2016 election but so, so eerie to listen to now in that you can see it was practically the writing on the wall of what was to come. 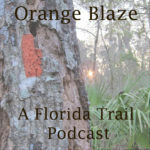 Routes Podcast: A podcast about long distance hiking. Absolutely have loved every episode I’ve listened to, particularly Erin ‘Wired’ Saver’s episode. REI Presents: Leave It Better | Packing it Out: a short documentary on YouTube about a pair of friends bike packing across country and picking up trash. I always love these posts of yours because you seem to come across some really good reads/listens!! You did tell me about Routes (I think) at some point awhile ago and I have Wired’s episode downloaded. We’ve been on an Audible kick for our drives to/fro Denver. I think you have, but do you listen to “She Explores” and “Women on the Road?” I have a few of those saved too. And “Dirt in the Skirt,” the episode on Liz Thomas? And The Trek people released a new podcast. Haven’t listened or downloaded any, but I am always mixed on their stuff/people so not sure I will even like. Obviously, I have so many podcasts downloaded right now (including yours), so hopefully I will get back to podcasts soon!